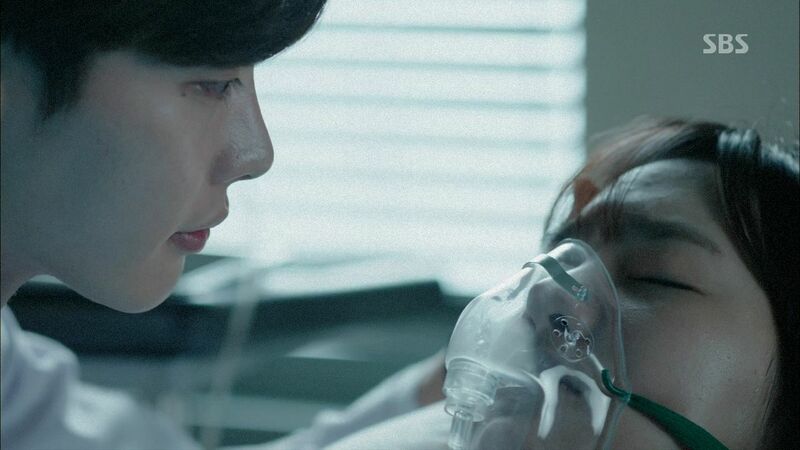 Hold on to your horses because here comes Dr. Stranger like a shot to the heart. Today I watched all three new (or pretty new) primetime K-dramas on the Mon-Tues time slot and have decided to recap Dr. Stranger over Triangle and Big Man. It’s not a measure of quality because it’s yet early to see which horse comes out ahead on any of these three dramas having staying power all the way through. I’m recapping DS because it kept my interest riveted and that’s saying a lot considering only two of the leads Lee Jong Seok and Jin Se Yeon showed up in episode 1. There is nary a sighting of Park Hae Jin and Kang Sora and I was totally watching for them only. 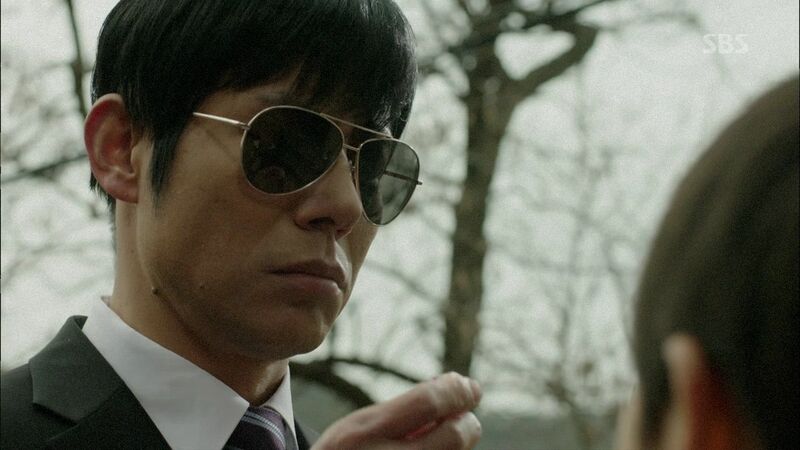 Who knew I would actually like the story set up and enjoy the extreme and intriguing story, especially with veteran Kim Joong Sang leading off. He’s pulling expert double duty right now between a cameo in DS and starring in A New Leaf and I have to say the more the merrier when he’s just this good. 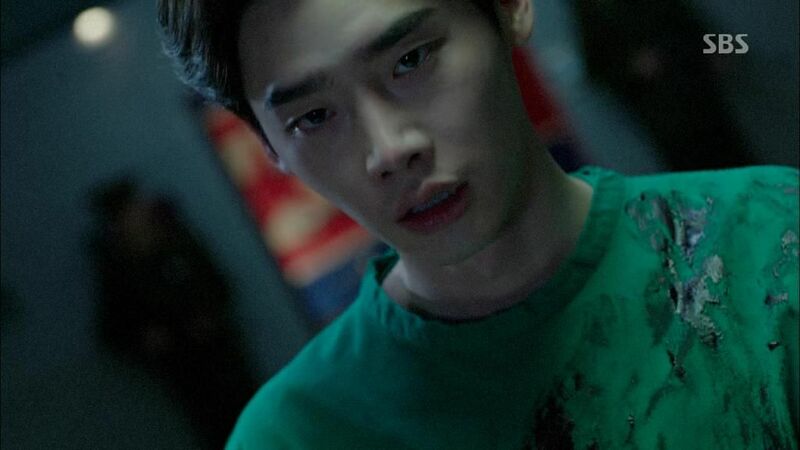 Like all the previews suggested, the tone and subject matter of Dr. Stranger is all over the place – a political thriller, a medical can-he-perform-the-surgery nail biting intensity, and a really meaty first love tormented angst that sees Lee Jong Seok’s Park Hoon and Jin Se Yeon’s Song Jae Hee already tortured physically and mentally within the span of mere minutes in this drama. The plot moves so fast it was like K-drama cranked up on acid but the deft directing keeps everything thrumming along without glitches. 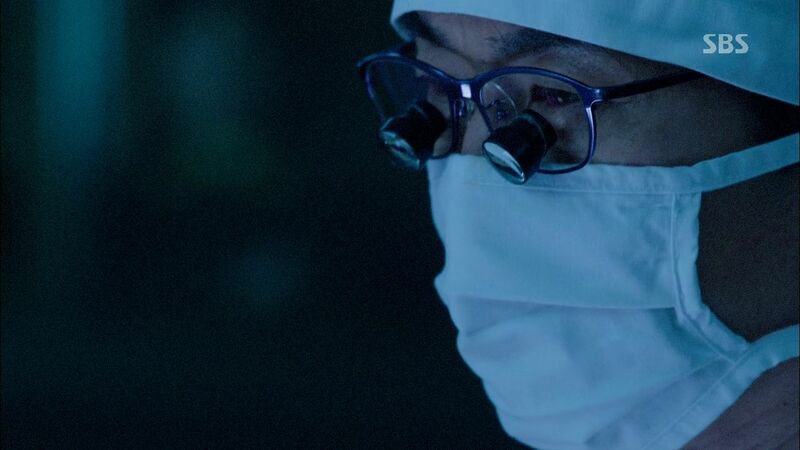 I’m sure it’ll slow down soon once the action moves back to South Korea and the other two leads show up, but for now episode 1 of Dr. Stranger gets my recapping fingers itching again and that’s good enough to make a date with this strange and fascinating doctor. 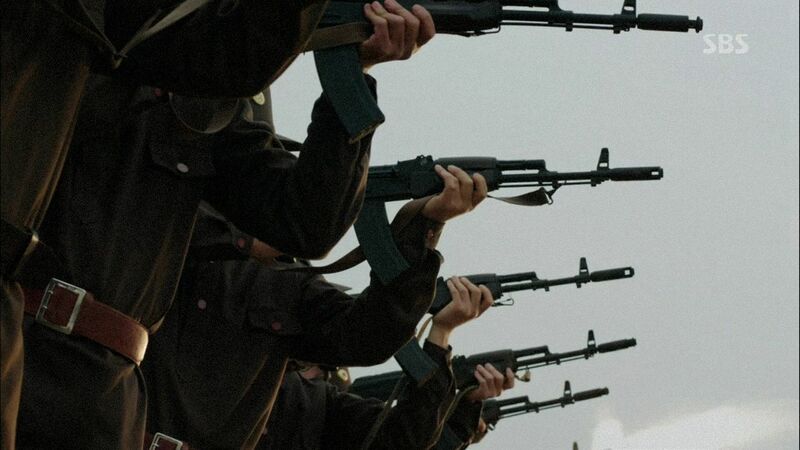 The news reports that the Korean peninsula is in a heightened state of anxiety due to North Korea leaving the anti-nuclear proliferation treaty talks. The year is 1994 and we open with a little boy getting ready for school as the TV blares the latest urgent updates. The anchor adds that it’s been ten days since North Korean leader Kim Il Sung was seen in public. The boy turns off the TV and happily finds his toy box to take to school. 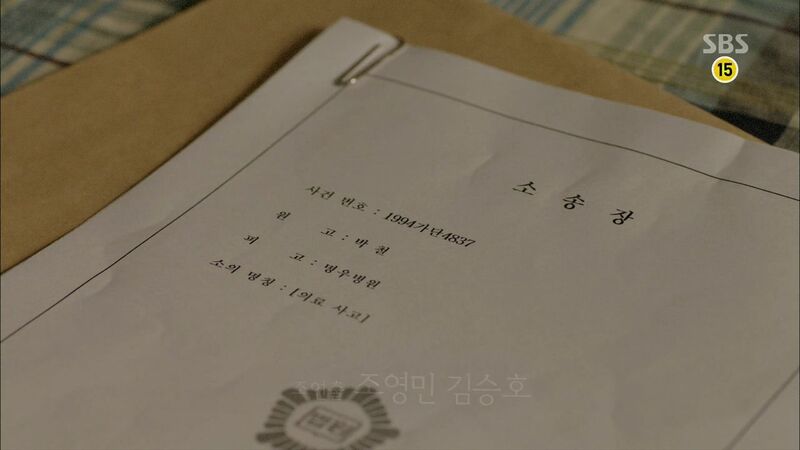 He notices a lawsuit on the kitchen table where his father Park Chul is suing a hospital. 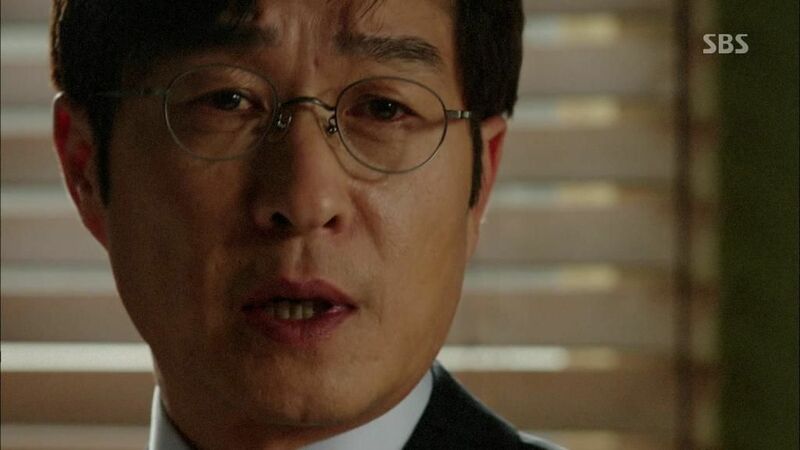 Dad comes out and takes his glasses off son Park Hoon and puts the lawsuit away. Park Hoon adorably bids farewell to Dad as he heads off to school but Dad is not the overly warm type and just nods back. As Hoon exits the house he runs into two government officials at the front door. One introduces himself as Jang Seok Joo here from the Congressional Committee for National Defense. They head inside to talk as Hoon watches quizzically. Park Chul assumes Congressman Jang is here on behalf of the hospital to pressure him to drop the lawsuit. Congressman Jang says the court will not convene today to hear the case and he’s here for something more important than just a mere lawsuit. 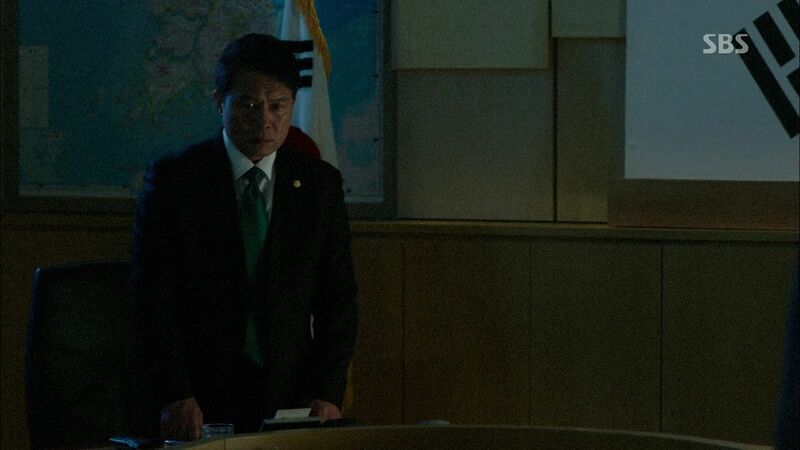 Congressman Jang declares ominously that war will break out in the peninsula in days. 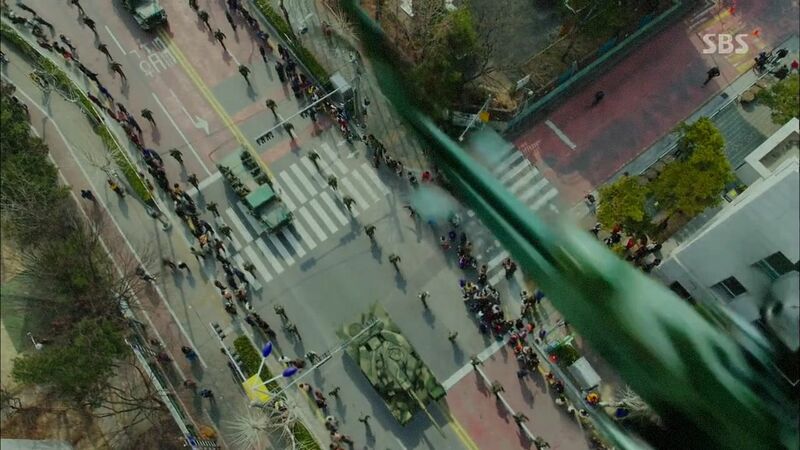 On Park Hoon’s way to school, he sees tanks rolling through the streets of Seoul while military helicopters fly overhead. He salutes it since he thinks it’s cool. Congressman Jang tells Park Chul that the US is preparing to lead the attack on North Korea to take out the nuclear facilities and prevent a nuclear war. Of course the North will retaliate and the South will then be embroiled in a full scale war. 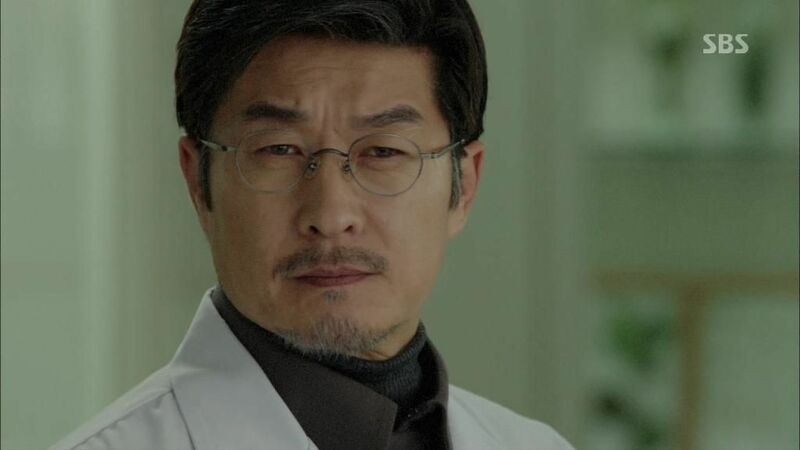 Park Chul asks how he’s involved since he’s just a mere doctor and professor of medicine? 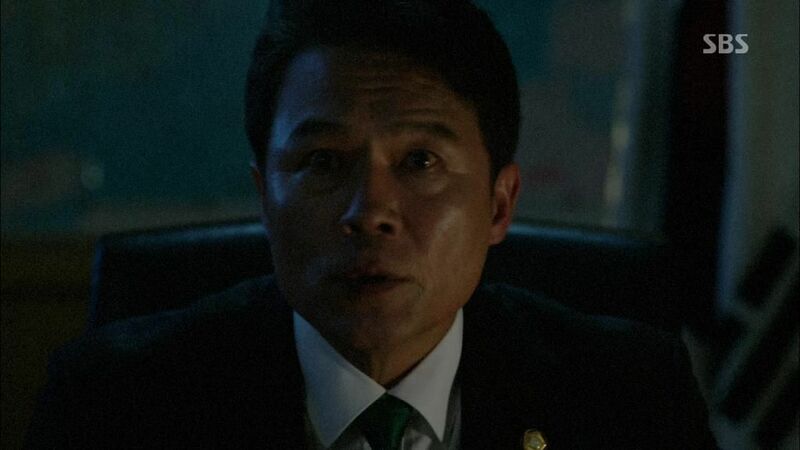 Congressman Jang declares that Park Chul can stop the breakout of war. Park Hoon is walking home from school as the raid sirens blare and folks quickly scurry home. Hoon passes by the guard waiting outside the house for Congressman Jang and he offers the stern guy a lollipop. The guy takes it and then shoves it in his pocket when Congressman Jang leaves the house. Park Chul tells Hoon to make himself dinner but Hoon points out that there is nothing left in the fridge. They head to the supermarket where there is currently pandemonium as shoppers fight for supplies and dry goods. As Hoon and his Dad have dinner, Hoon wonders if war will really break out since he saw tanks earlier today. Dad assures him war won’t break out that easily but the news is currently reporting on the politicians claiming war is imminent. Congressman Jang sits with Park Chul and shows him a heart x-ray indicating this patient needs heart surgery immediately or else he can’t survive the month. 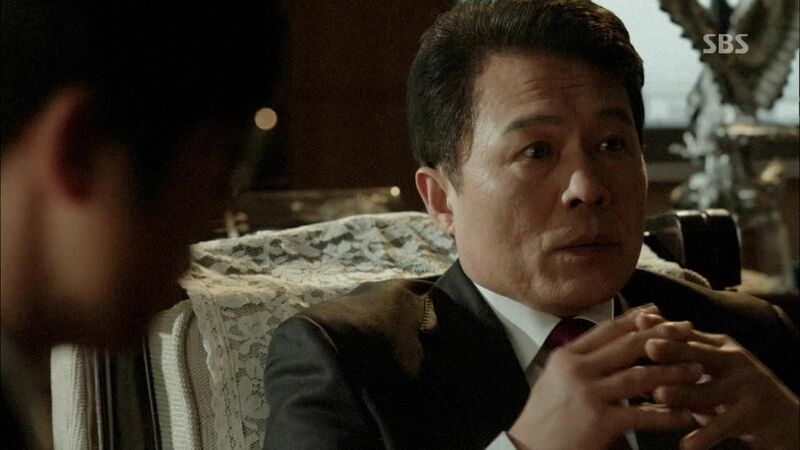 Park Chul is willing to operate on him if he comes to the hospital but Congressman Jang says Park Chul needs to go to the patient. The x-ray is North Korean leader Kim Il Sung’s heart and if he dies then the US will trigger war to take out the nuclear facilities in North Korea. Park Hoon overhears a conversation between his divorced parents as Dad asks Mom to watch Hoon for a few days. Mom calls Dad selfish for always shirking his responsibility and tells him not to call anymore before hanging up. Dad tries to call back and notices the phone line is busy. He suspects Hoon listened in on the other line and goes to check on him. He finds Hoon huddled in bed and we see Hoon silently crying. 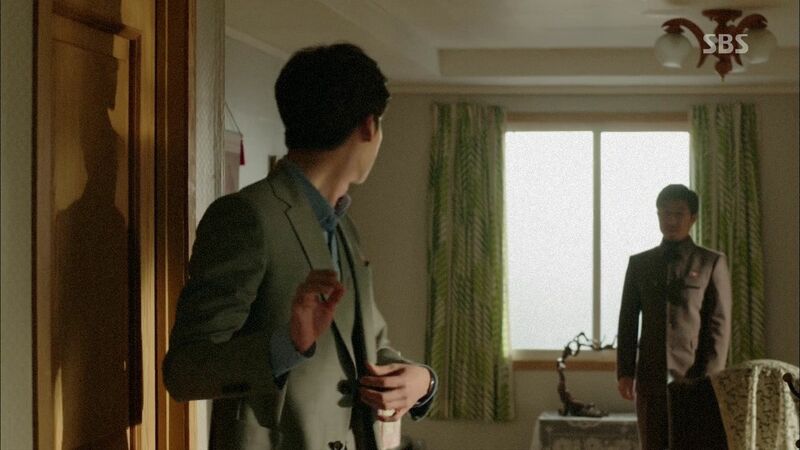 At breakfast the next morning, Park Chul tells Hoon that a Professor Choi will watch him for a few days but Hoon wants to stay with his dad no matter what. He thinks his mom doesn’t like him. 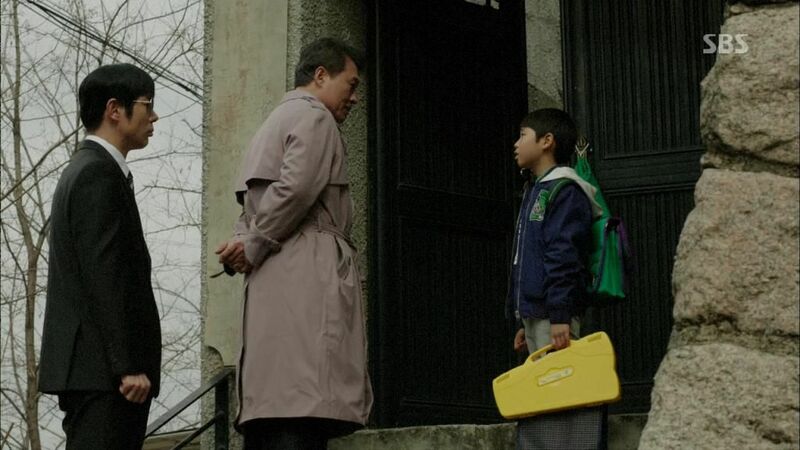 Hoon tries to plead with his Dad but finally gives up and walks off dejectedly to school. Park Chul leaves in a car but stops and runs after Hoon to take him along. To North Korea? It’s to operate on Kim Il Sung’s heart and not exactly a visit, but whatever. Father and son tearfully hug it out and then they’re off! In the middle of the ocean two ships pull up alongside each other. 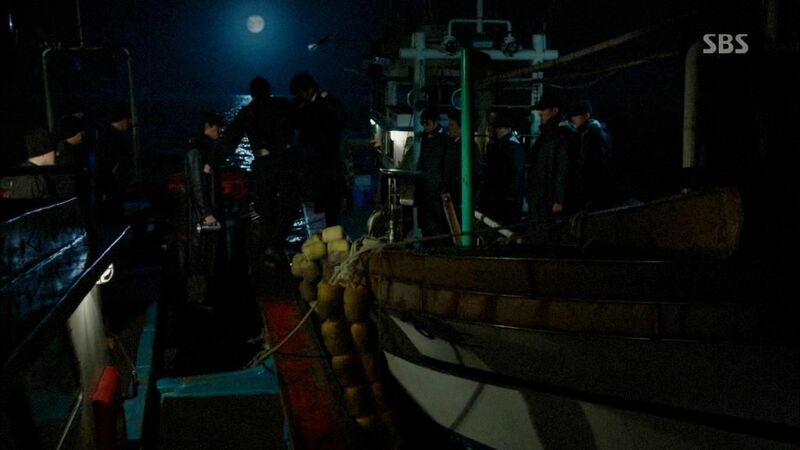 The lights are turned on and the North Korean side checks to see that Park Chul is present before pulling him and Hoon over to their ship. 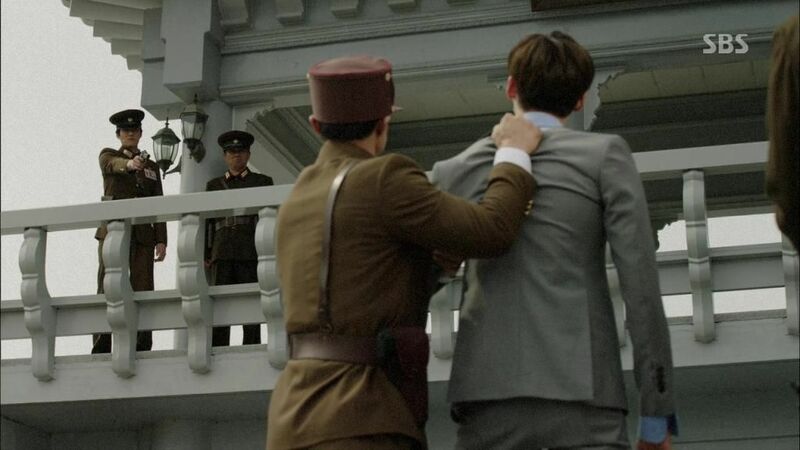 Park Chul nods farewell to Congressman Jang and then the two ships are off in opposite directions. Congressman Jang briefs the army bigwigs on the US preparations for war and the army generals wonder if sending one lone doctor over is enough to solve the imminent crisis? Congressman Jang assures them that the US trigger is the death of Kim Il Sung so if he’s saved then there is no excuse for the US to preemptively attack. Park Chul is in scrubs and walks into an operating room where the sedated Kim Il Sung is laying on the operating table. Congressman Jang continues briefing the army generals on the worst case scenario that if war breaks out and the North attacks the South nuclear facilities, even if the South wins the war there will be 1/3 of the territory uninhabitable for the next 200 years due to nuclear fallout. 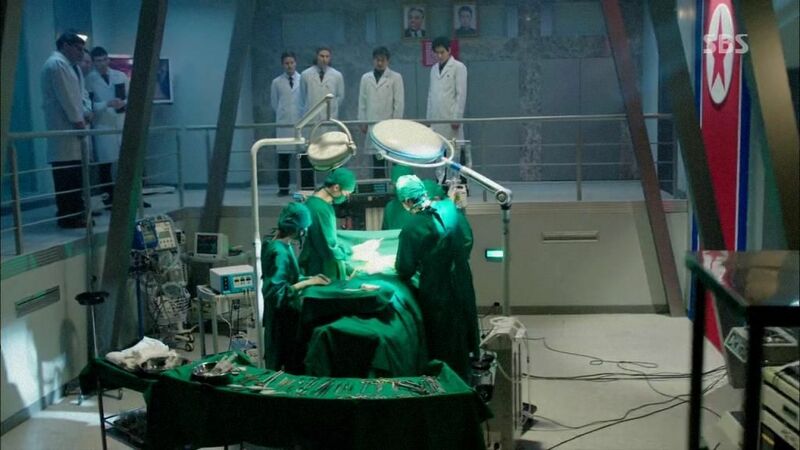 The surgery goes awry as Kim Il Sung’s heart stops in the middle of the operation. The scary North Korean who picked up Park Chul calls in the trump card and brings Park Hoon into the OR and then sticks a gun to his head. Park Chul stops and stares. 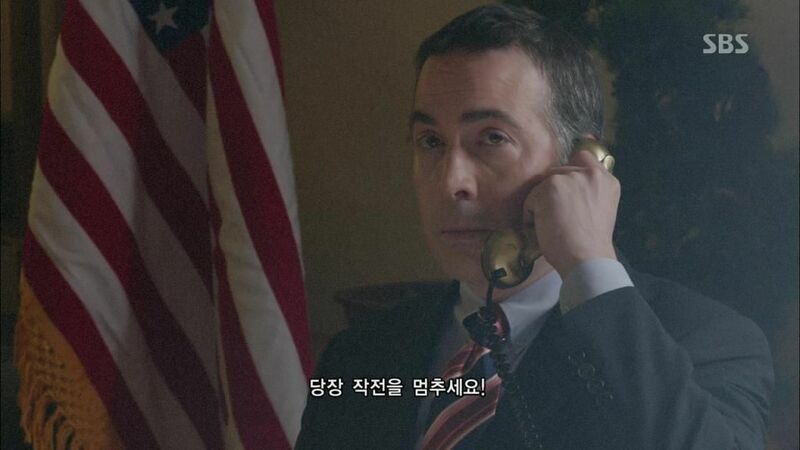 Congressman Jang gets a call and tells the generals that the US admitted it’s launching an attack. South Korean citizens are swarming the US embassy in protest as Congressman Jang pulls up outside and shoves his way in. 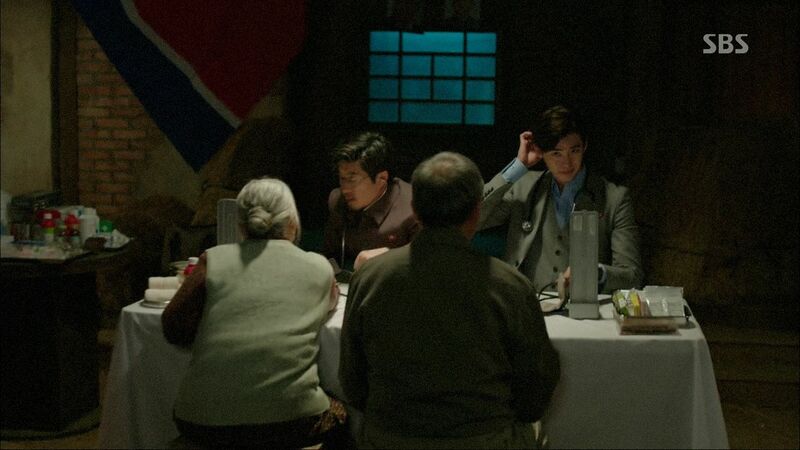 Park Chul continues operating on Kim Il Sung even as his heart as stopped and is being massaged manually during the operation. Park Hoon stares and nods to his dad even knowing a gun is pointed at the back of his head. Back in the OR, Kim Il Sung’s heart starts beating again and his vitals are back. Everyone watching the operation lets out a giant sigh of relief. 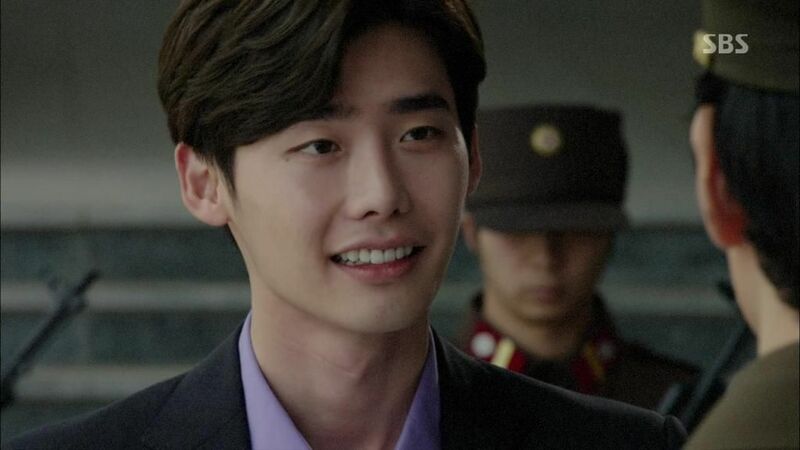 Park Hoon smiles at his daddy. 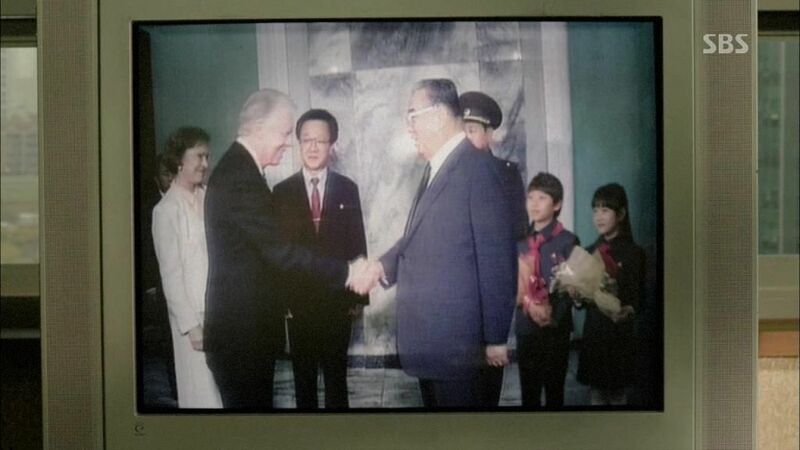 Brief time skip forward a few months as the news reports on North Korean leader Kim Il Sung meeting with Jimmy Carter in Pyongyang and announcing the signing of a anti-nuclear proliferation treaty and thereby resolving the last four months of anxiety on the Korean peninsula. 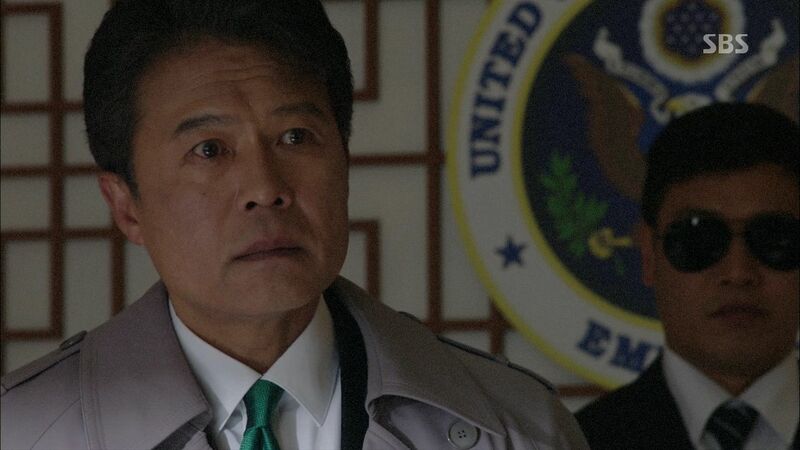 Congressman Jang watches this news with his poker-faced aide and says “heroes are made during a time of crisis”. Suddenly other congressmen run into his office and congratulate him on successfully staving off potential war and he beams in the accolades for doing something he didn’t really do. His aide glances over at the news where two little kids are offering flowers to the leaders and one of them is little Park Hoon. 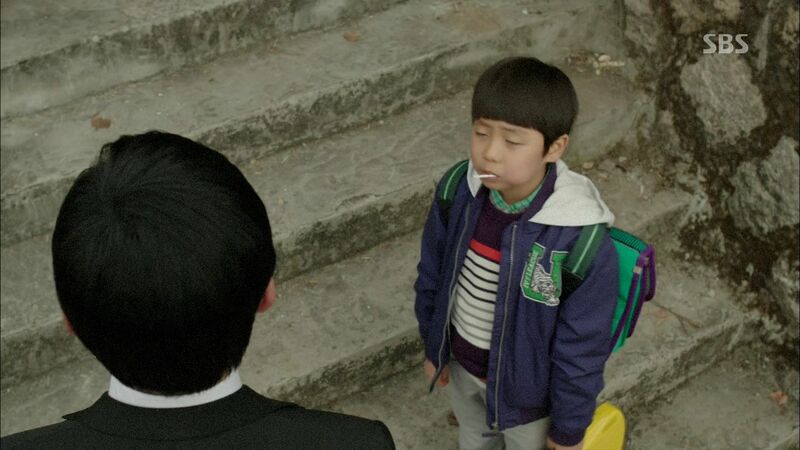 He takes out the lollipop that Park Hoon gave him. 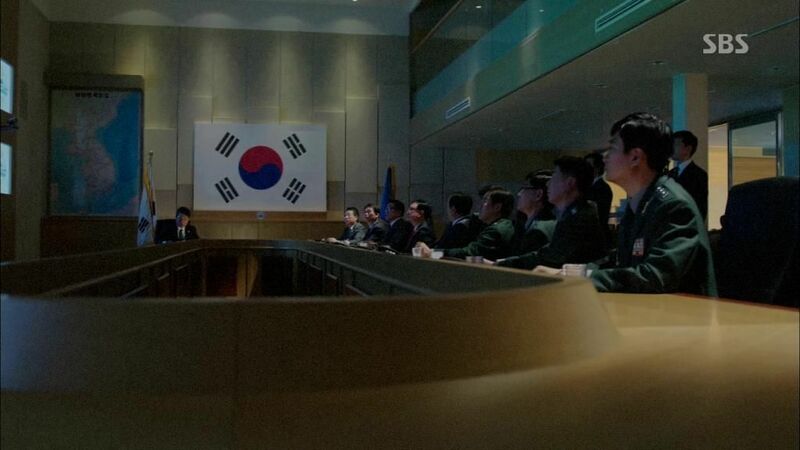 After the flower ceremony in Pyongyang, Park Hoon takes a red and green string and knots it like his dad did to suture the incision after surgery. The girl finds what he’s doing really cool and Hoon is immediately smitten with pretty Song Jae Hee. She asks for his name but before he can tell her he has to leave with Park Chul. Hoon runs back to tie the knotted bracelet on Jae Hee’s wrist and tells her that he’s Park Hoon. Jae Hee smiles at Hoon as he leaves with his dad. On the car drive back to South Korea, Hoon notices something is weird as suddenly the car they are riding in is flanked by army vehicles on both ends. They are dragged at gun point to a remote area where a line of soldiers face them with rifles. Hoon asks if they aren’t going home and his Dad says with resignation that they are likely not going home. Dad shields Hoon as the soldiers fire their rifles to execute them. It’s Hoon’s mom and Congressman Jang’s smile is wiped off his face the moment he sees her. His aide goes and pulls Hoon’s mom side and whatever he whispered to her seems to calm her down. Congressman Jang resumes his campaigning. 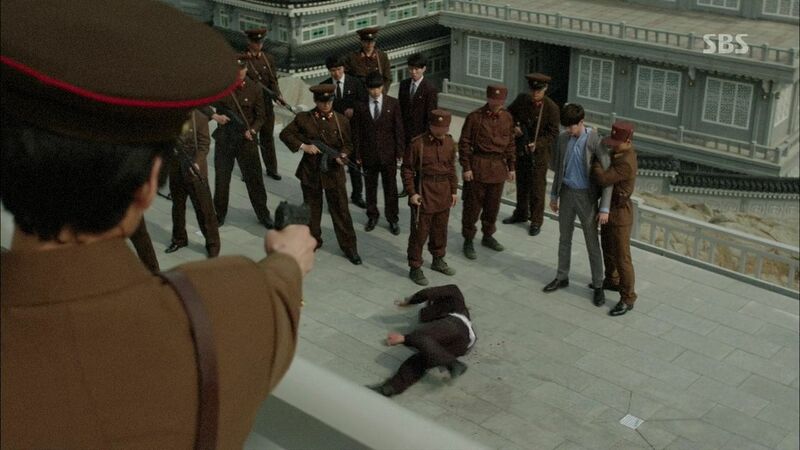 Park Chul and Hoon aren’t dead as the soldiers have fired into the air as ordered by the North Korean supervisor. He declares the South a bunch of heartless bastards and says from now on Professor Park Chul of South Korea is officially dead. He is now Comrade Park Chul. The guy starts clapping in a really scary fashion as a welcome to Park Chul. 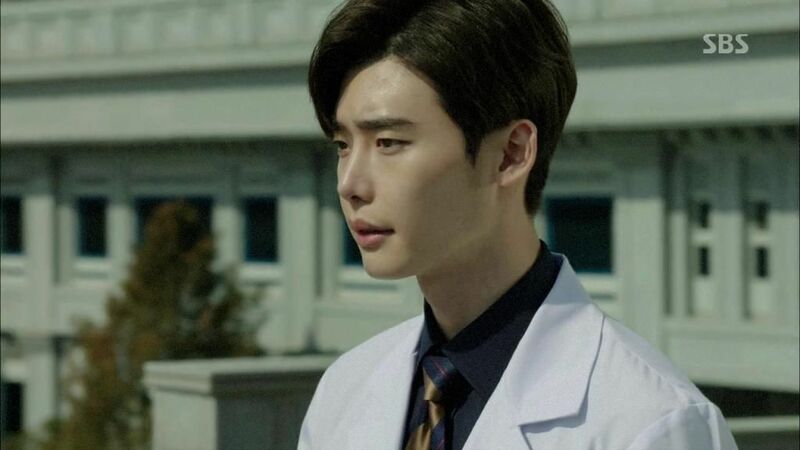 Time jump to the future and Park Hoon is now all grown up and a medical school student. He’s selling black market South Korean pop music tapes for $2 US dollars to his classmates. Everyone is forking over money when suddenly the school administrators spot Hoon’s illegal activity and chase him all over school. Hoon slings the tapes on his back and runs away all happy. He drops the tapes as he runs towards his favorite hiding spot but finds it locked. Just as Park Hoon is about to be captured, the door opens from the inside and he’s pulled to safety by a pretty young girl. They hide from the officials while standing really close to each other. Hoon says he can hear her heart beating since they are so close but she’s in no mood to joke since they almost got caught. Hoon says each person’s heart is different and there is no two people with the same heartbeat just like there are no two people who look just like each other. Hoon steps forward and pulls her into a hug with her head on his chest. He asks if their hearts sound the same? It does because it’s destiny. We see her wearing the bracelet little Hoon made so she is obviously grown up Jae Hee. He declares that he’s decided but Jae Hee simply pulls him by the ear to go have a talk with his dad. Hoon quickly turns the tables on Jae Hee and picks her up in a princess carry and takes her outside. 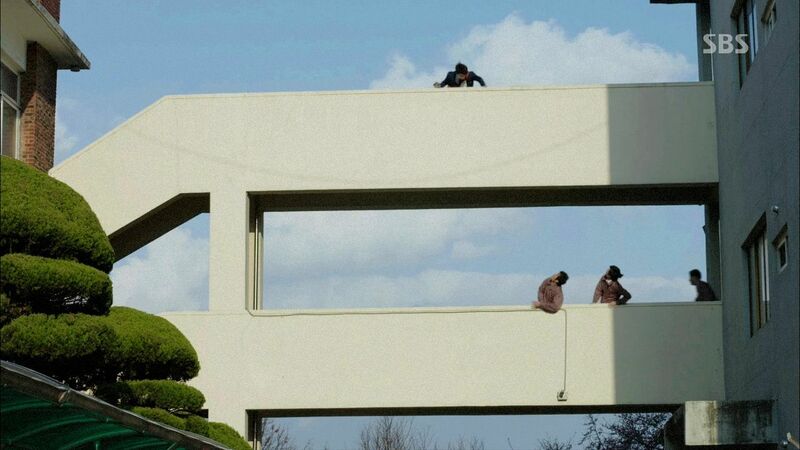 He deposits her on a ledge and then gets down on one knee to pull out an engagement ring. He knows her parents don’t like him but she’s his destiny and he wants to marry her. She knows the rings must be expensive and he admits he sold boot leg K-pop tapes to earn the money to buy it. Awwww. Jae Hee chides him for engaging in dangerous activities for this. Hoon tells her to marry him soon then to keep him out of trouble. Jae Hee pulls the ring out of the box and puts it on as she runs off sassing that she’ll marry him in a hundred years. Jae Hee and Hoon run into Professor Park Chul (and two other medical school professors) in the hallway and Dad notices she’s wearing a wear on her finger. Dad asks why Hoon didn’t come to his class and Hoon tosses a contrite apology before running off to chase after Jae Hee. Hoon wants a hug from her but she shoves him a bit before the two of them head out to ride a bike in the countryside. Jae Hee asks what Hoon will do if she suddenly disappeared? 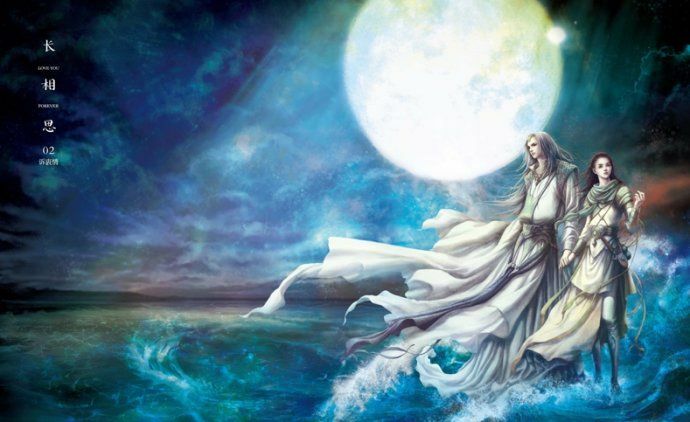 Hoon will search the world for her until he finds her. Jae Hee smiles at that answer and tells him to come by tonight to meet her dad. She warns him that her Dad is really scary but Hoon isn’t scared. 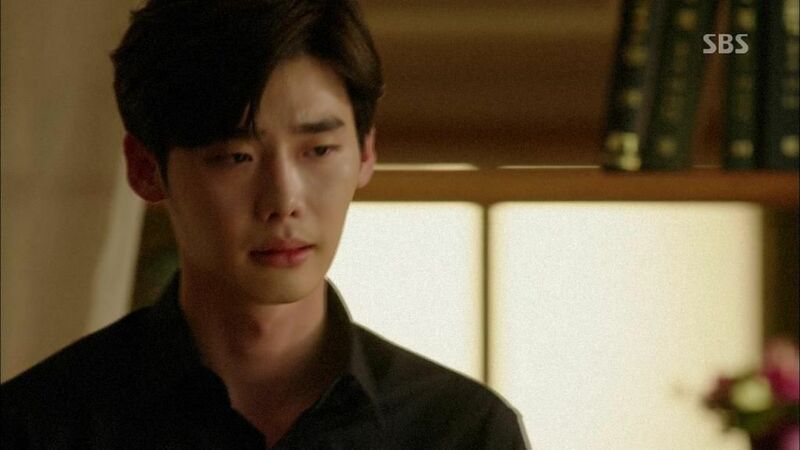 Park Hoon gets dressed in a suit to go meet his future father-in-law. He runs into Dad in the living room who reminds him that this is their usual clinic in the countryside. Hoon wants to beg off tonight but Dad refuses so the two of them ride their bikes to head off to do their free clinic. Hoon and Dad are treating a line out of door of poor patients without all their usual medical equipment. 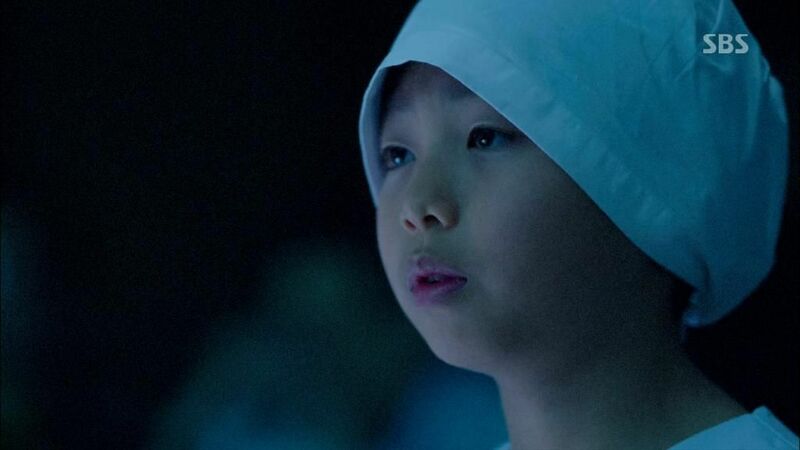 Dad says Hoon can trust his experience and knowledge from multiple dissections, and coupled with his instinct, it’s better than any diagnostic equipment in telling him what is wrong with a patient. Hoon closes his eyes and presses down on a patient’s chest area and seems to diagnose the problem. Just like that, LOL? He inserts a needle and removes excess fluid inside and treats the patient. Hoon arrives at Jae Hee’s apartment to meet her dad but finds the place all dark and ransacked. 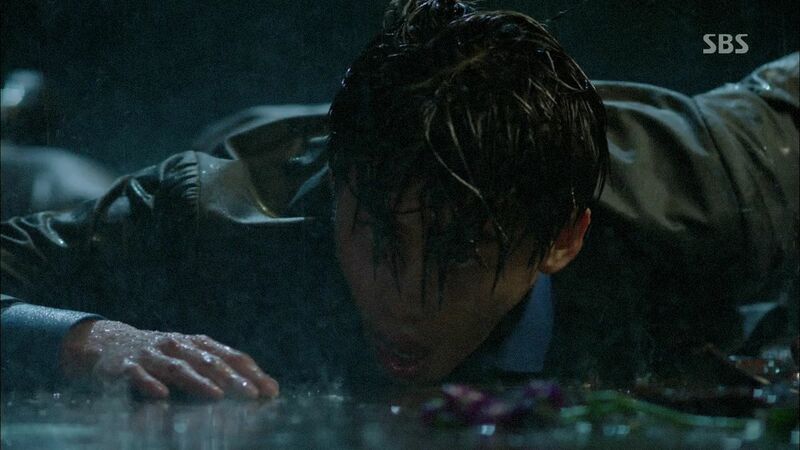 He runs around screaming for Jae Hee and finds her just as it starts to rain. Jae Hee runs into his arms and says she’s scared. Suddenly some armed men arrive so Jae Hee pulls Hoon in for a deep kiss before she’s forcibly dragged off and he’s beaten unconscious with a blow to the back of the head. Jae Hee calls back for Hoon not to forget her! 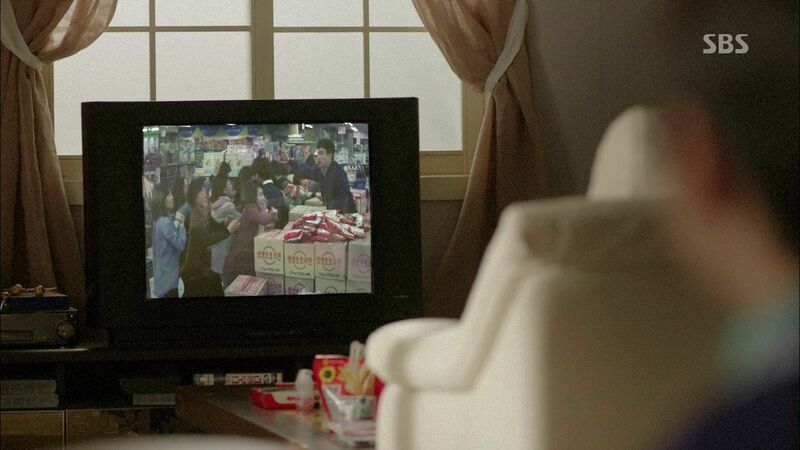 Park Hoon wakes up with a bandage around his head and finds himself back home with his Dad keeping watch over him. 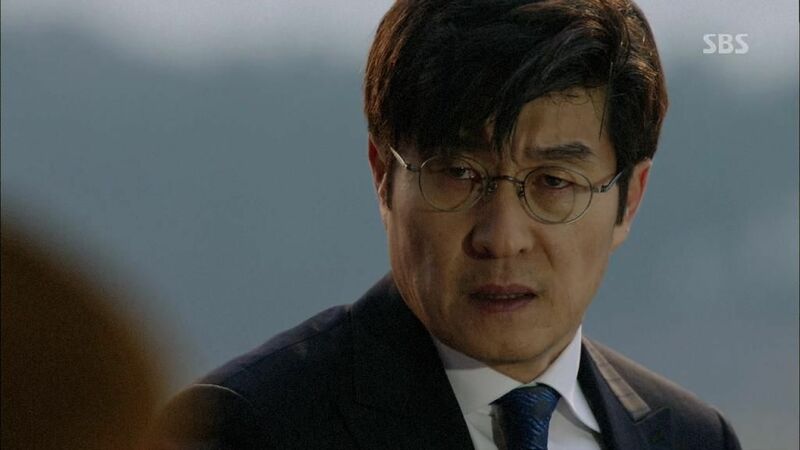 Dad tells Hoon that Jae Hee’s dad appears to have been targeted for political extermination and it’s too late to save Jae Hee since families members are implicated as well by association. Hoon insists on finding her because she gave him back his dream and made him happy for the first time. 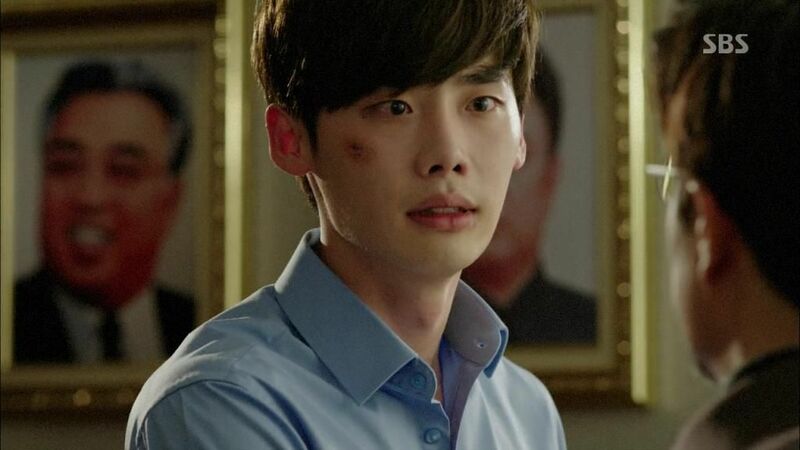 Before Park Hoon even steps foot out of the house he’s taken away by soldiers arriving at his front door. Park Hoon is driven in a convoy to a heavily fortified facility with high walls, gates, and guards everywhere. He keeps trying to run away until he sees another person who tried to run away executed right before his eyes. The one pulling is trigger is the scary North Korean soldier who brought Park Chul and Hoon over and gave them a reprieve from execution years ago. He remarks that Park Hoon has grown up now. He takes Hoon through the facility and reveals this is a medical center solely dedicated to maintaining the health and well being of the North Korean leader. No one who is brought in can ever leave and whose who tries will be killed. Park Hoon says he didn’t ask to come here but the comrade says it’s not up to Hoon and the government has decided. Another young doctor asks if staying here means they can treat the Leader one day but the comrade says it’s up to them. They can either be doctors, or become the test subjects of the doctors. Suddenly a guy in blood stained scrubs staggers in front of them and is taken away. The comrade gestures for Hoon to come in so Hoon walks through the revolving gates and heads in the direction where the blood stained guy came from. He see another person in scrubs bent over in distress against the wall. He walks forward and sees a pool of blood coming out of a darkened room and looks inside to see a person doing a dissection of a live victim, entrails danging off the table. The door closes on Hoon’s freaked out face. Holy bejebus woah. 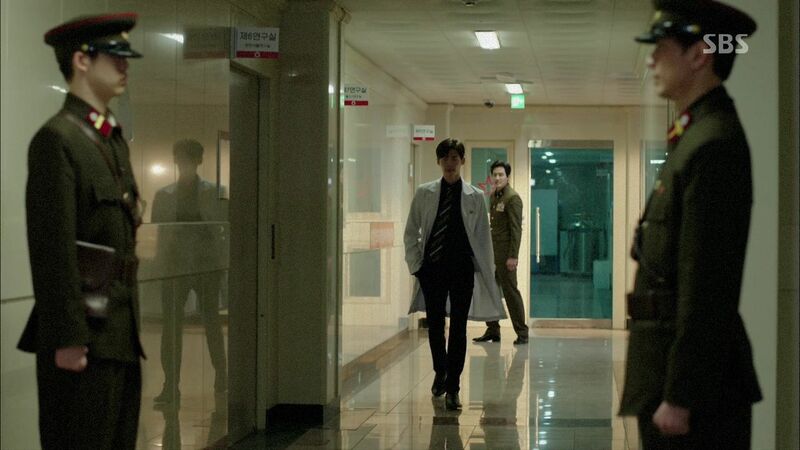 Five years later and Park Hoon is now a seasoned doctor and wanders around the facility with armed soldiers following him. 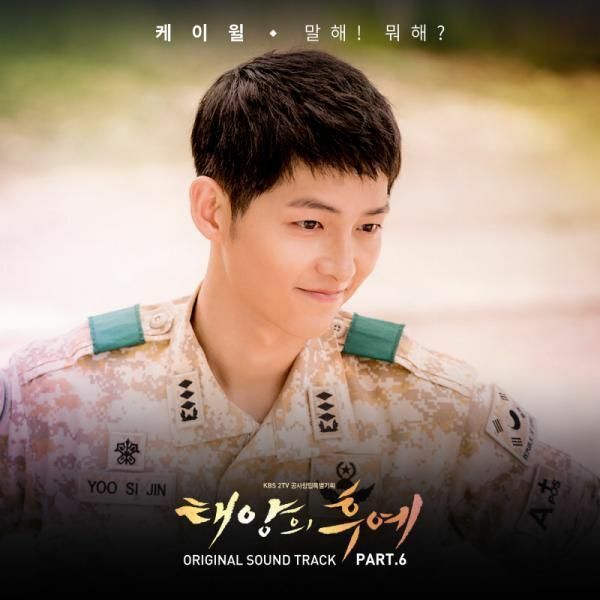 He runs into the soldier comrade who warns him not to leave since he could be punished. Hoon appears to push the limits and knows they need him and sasses back that he doesn’t like being cooped up. He’s called to go prepare for a heart surgery. On his way to the OR, Hoon runs into his Dad and wonders why he’s here? Dad is here because he heard Hoon snuck out often against the rules and worries he could get in big trouble. Hoon admits that he’s spent all his free time in the last five years searching for Jae Hee. The government officials and Park Chul are guiding a group of visiting heart surgeons to tour the state of the art facility and they walk into the OR to watch Hoon operating on a patient. 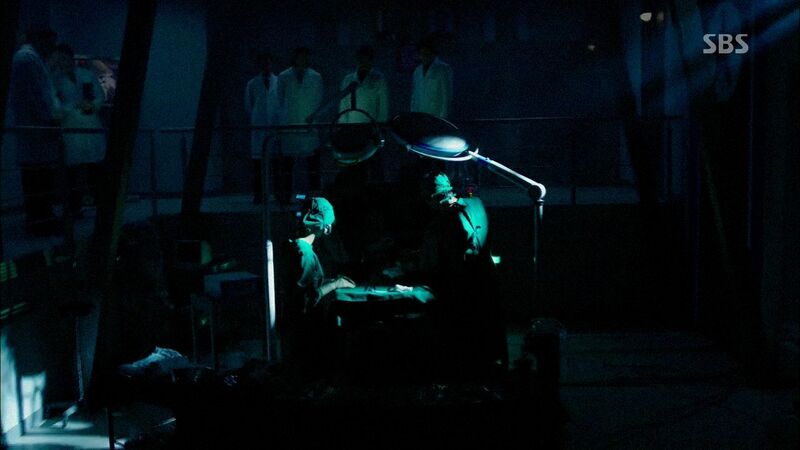 Suddenly all the lights go out and the operation is about to be halted when Hoon insists that he can continue since he already saw the chest cavity and knows where everything is. 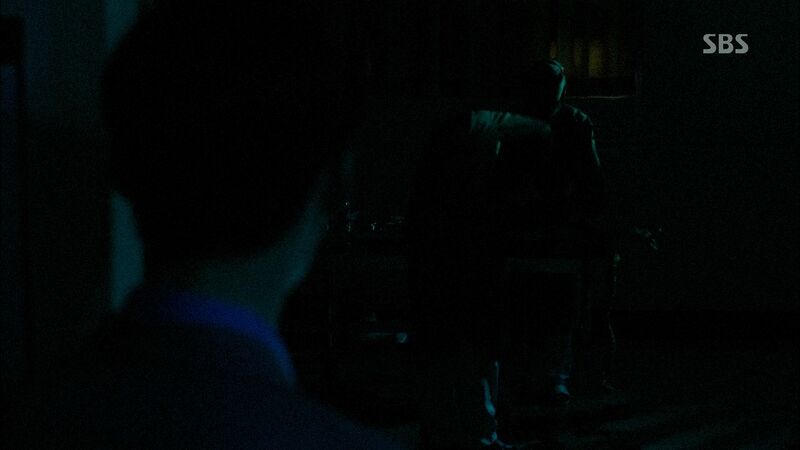 After the lights come on the operation is finished with Park Hoon successfully completing it in the dark. 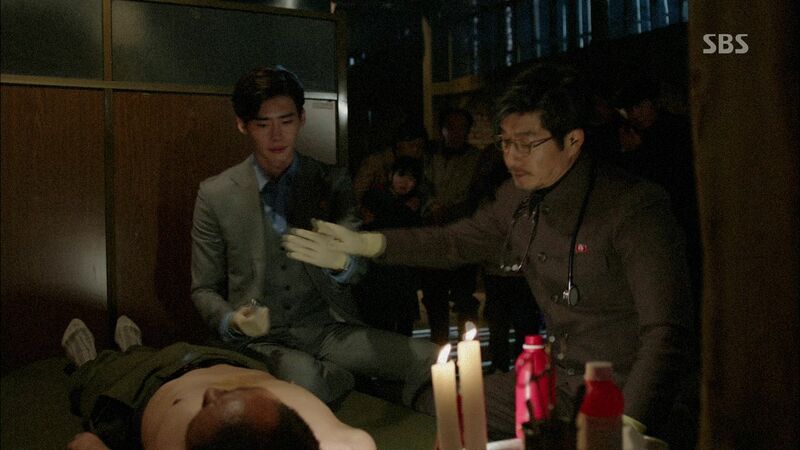 The soldier comrade compliments Park Hoon on successfully doing the surgery in the dark and shows him a chest x-ray of a patient who is a political prisoner. Those held in the political prisons are tortured and medical tests done on them. He wants Hoon to do a heart transplant of two political prisoners who are father-daughter before the visitors surgeons. If he impresses them then the North will be able to procure new medical equipment. Hoon refuses and storms out. The soldier comrade stops Hoon and tells him to stop acting so holier than thou since he did even worse things before. Hoon shakes him off and says he’s going to stop now. As Hoon is walking out he runs into nurses bringing the father-daughter political prisoner patients in for surgery. The nurse asks when the surgery will take place but Hoon says he’s not going to do it. Hoon is about to leave when he stops and seems to be listening to something. He turns back to look at the patient on the gurney with a cloth covering her face. Her hand suddenly falls to the side and she’s wearing the bracelet Hoon made for Jae Hee. Hoon runs back and pulls off the cloth to reveal a bruised and battered Jae Hee. Hoon goes to check on Jae Hee as she lays in the hospital bed and he cries to see how her body is all broken. 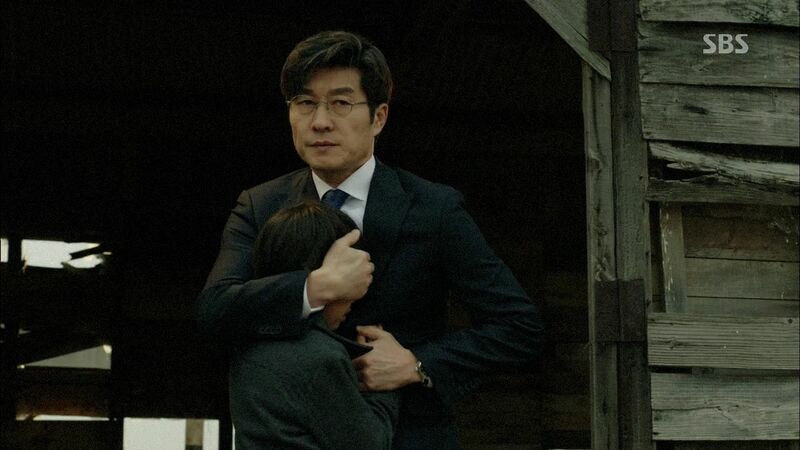 Suddenly a hand grabs Hoon and it’s Jae Hee’s dad begging him to save Jae Hee who has kidney failure. It doesn’t matter what happens to him as long as he can save Jae Hee. Hoon shows his Dad the chest x-rays and his Dad says Jae Hee’s internal injuries are more severe while her dad’s condition is weak but still survivable. Hoon doesn’t care as long as he can save Jae Hee. Dad says this isn’t what a doctor should do. Hoon asks if he’s dad is acting dumb or really doesn’t know what Hoon did in the last five years? In the last five years he’s done worst things such as transplanting organs out of healthy people. So many healthy people have died in his hands and he’s supposed to be a doctor saving people! He’s learned that a doctor can kill as well and right now he wants to save the woman he loves even if it means killing another person. What is wrong with that! Hoon storms out and Park Chul releases that the girl patient is Jae Hee. Hoon walks out of the OR with his scrubs all covered in blood after harvesting Jae Hee’s dad’s kidney and killing him in the process. He takes a shower and then stares at his hand in horror before screaming in anguish. 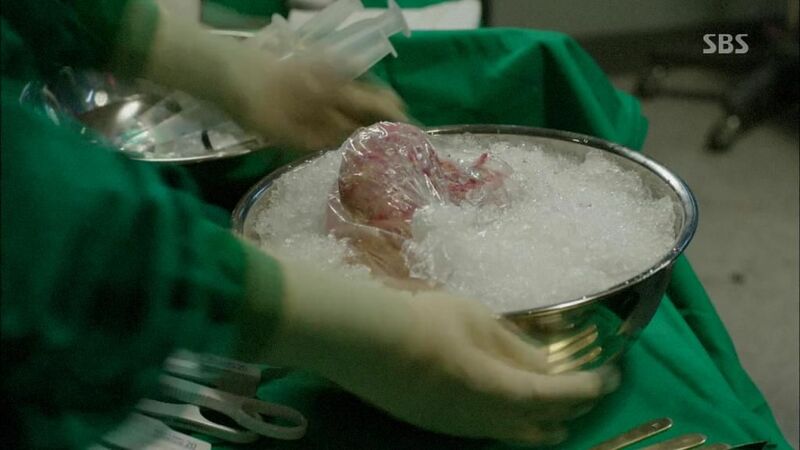 A nurse brings Jae Hee’s dad’s kidney out iced in a bowl as Hoon prepares to operate on Jae Hee and transplant his dad’s kidney into her. Park Chul watches the surgery and remembers the scene with a smiling Jae Hee flashing her ring to Hoon. The soldier comrade almost calls off the surgery until Park Chul speaks up that the visiting surgeons have agreed to pay for new medical equipment but they want other doctors to witness this surgery as well. After the surgery Park Hoon is requested to go to Budapest to perform surgeries as per the funding stipulation. He refuses and then goes to check on a resting Jae Hee. He strokes her face and then takes her hand to tell her not to worry. He will never lose her again. 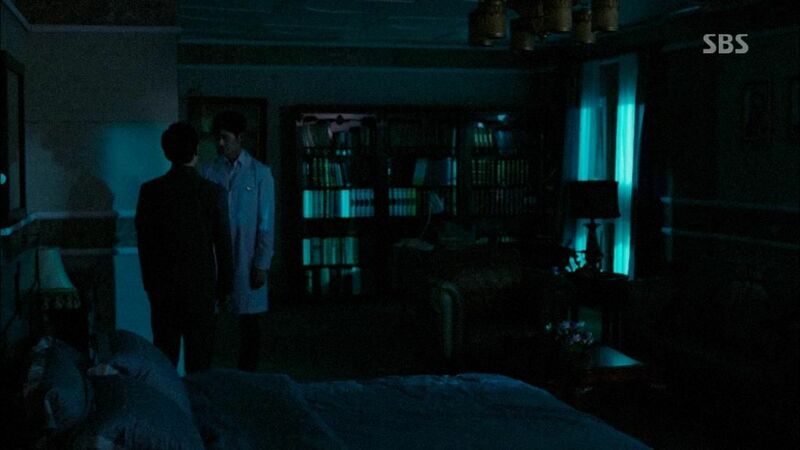 As Park Hoon walks through the facility all the lights turn off in an usual power outage and he heads back to his room. His dad is waiting for him and tells Hoon to go to Budapest because there is something his Dad knows there and this is a last chance to escape. Hoon doesn’t want to go without Jae hee but Dad says Jae Hee will go as long. He wants Hoon and Jae Hee to live well in the future and says this is their father-son last meeting since Hoon is leaving tomorrow. Hoon apologizes to his Dad and says he won’t go unless he can protect Jae Hee. Hoon walks his Dad out of the facility and points him to a secret passage way out that he’s used before in the past. He wants his Dad to leave before the lights come back. Dad tries to ask Hoon one more time to go to Budapest but Hoon’s mind is made up. As Hoon walks back to the facility, suddenly all the lights come up and he runs back to to find his Dad standing in the middle of the courtyard having gone back to the facility. All the lights are shining on him as Hoon screams for his Dad. 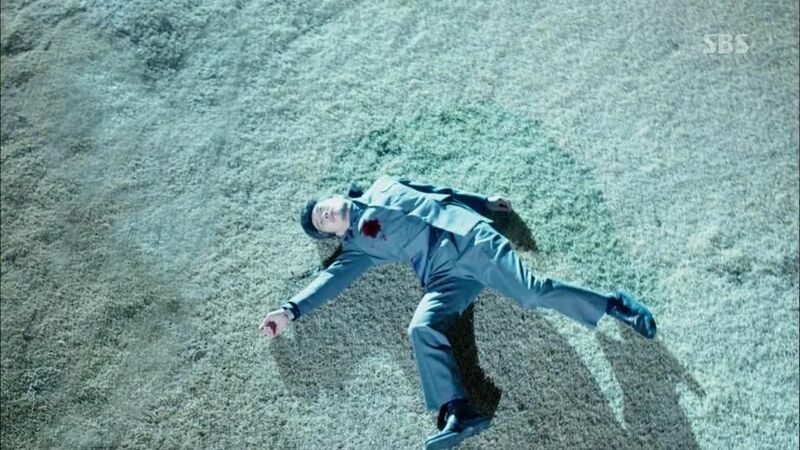 Park Chul smiles and is taken out by a gunshot. 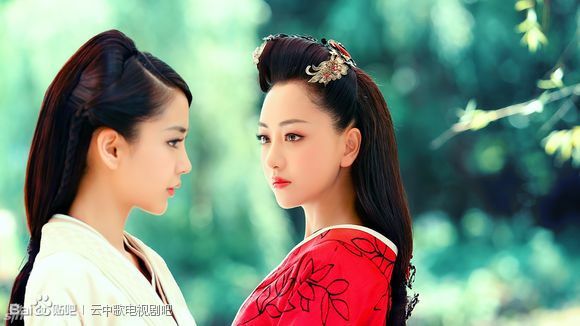 I really love the set-up of this drama because there is so much room for conflict and obstacles. The far-out nature of a South Korean heart surgeon staving off a Korean peninsula war and saving the life of North Korean leader Kim Il Sung works because it’s presently efficiently without getting bogged down on too many details. 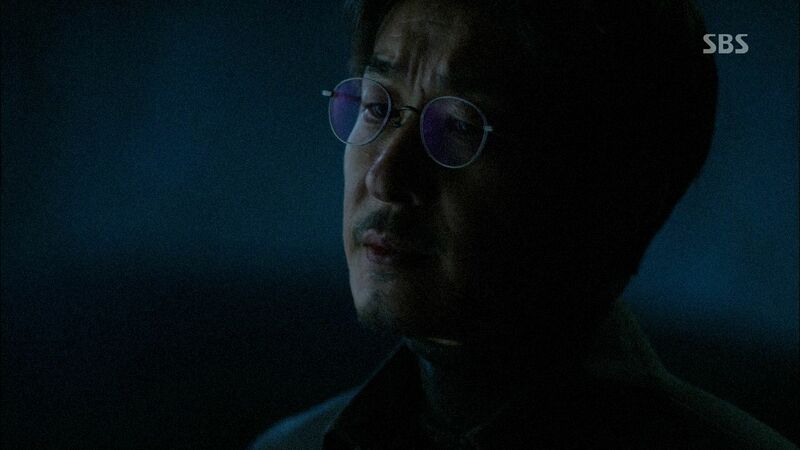 Dr. Park Chul heads to the North, does a tense and ultimately successfully surgery, and then gets stuck there when he’s betrayed by the power hungry Congressman Jang. I thought it a little ridiculous he would bring Hoon along even if the adorable boy wanted to stuck with his dad, but at the same time the father-son relationship is so lovely in their calm support and love for each other. 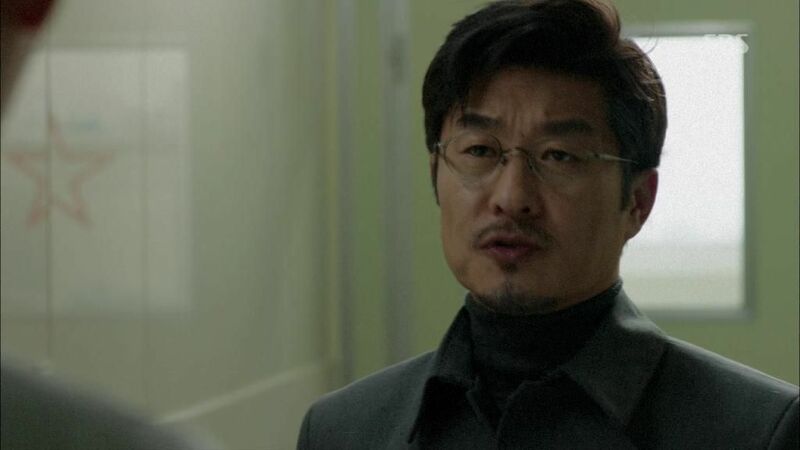 It’s obvious Daddy Park Chul elected to sacrifice himself at the end of the episode so that his son would have no ties remaining in North Korea and will go to Budapest with Jae Hee to attempt an escape. I think Dad wouldn’t have lasted that long in the North if he wasn’t trying to raise Hoon to adulthood and make sure he was going to be alright going forward. It’s easy to die, it’s harder to live and take care of another in such tough circumstances. 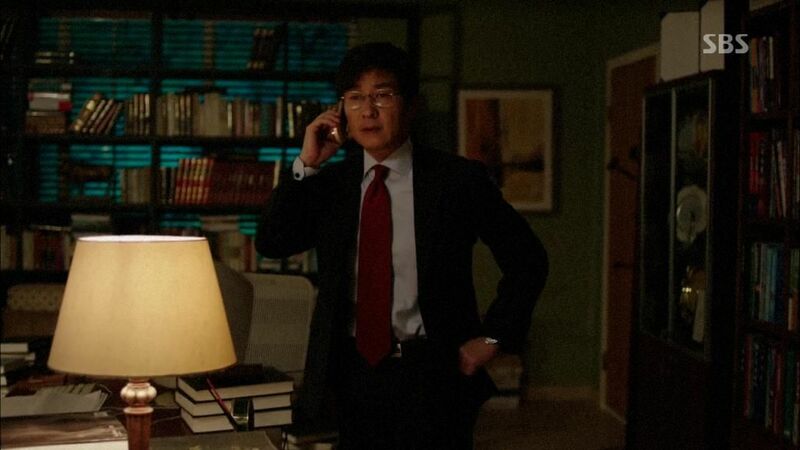 Now that Dad knows Hoon has found Jae Hee and she’s going to survive after the kidney transplant, it makes sense he would pick this critical juncture to choose death if that meant pushing Hoon to finally break out of his North Korean shackles. 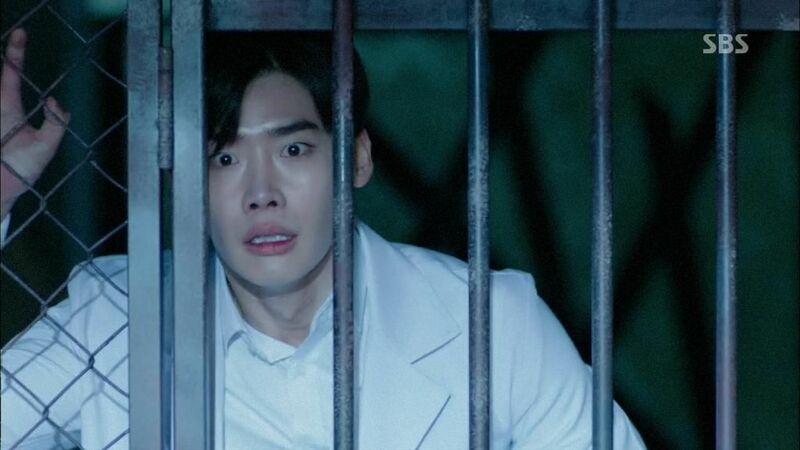 I’m already ridiculously fond of Park Hoon, a guy who we see as an ordinary kid, a relatively happy and well-adjusted college med student in love, and finally a doctor who has performed countless horrific surgeries and experiments in order to survive and find his beloved. Lee Jong Seok still looks young (and a bit odd to me), but that doesn’t matter as his acting is decent enough that he sells Park Hoon completely and I’m able to overlook the relatively minor quibbles. 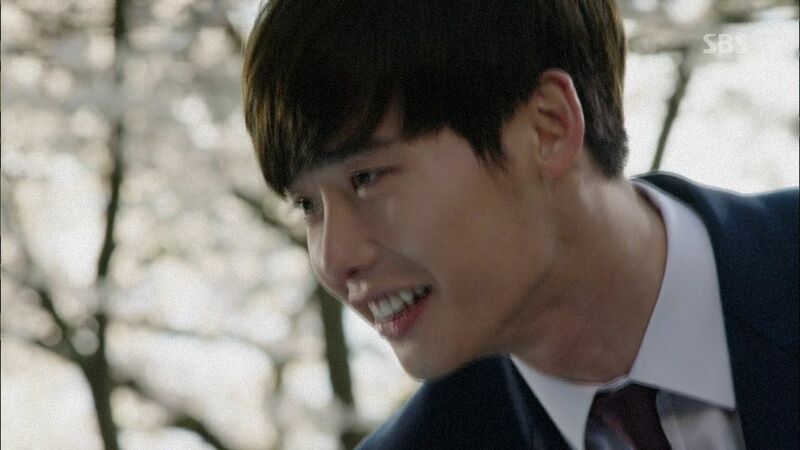 Jae Hee simply has to get her happy ending with Park Hoon, for both their sakes, because what happened to tear then apart is absolutely gut-wrenching. 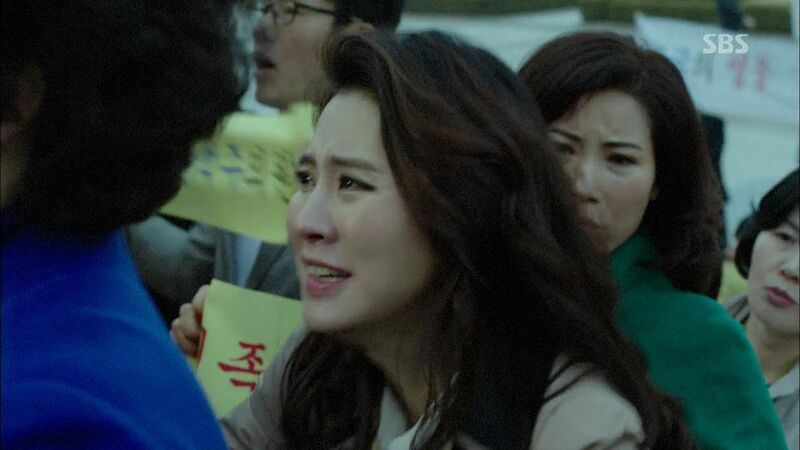 Getting tossed into a political prison just like that, enduring 5 years of torture, and then we know she now has her dad’s kidney inside her courtesy of Park Hoon’s expert surgical skills, girl’s going to need therapy in the future. I’m fully on board their tormented love story even if their first love is one that got glossed over in screen time with just a few scenes but the two leads sell it so well with the sweetness and deep affection. If I like Dr. Stranger so much already, I can only imagine how much more I’ll be all over their drama once Park Hae Jin and Kang Sora show up. Wow, your recap is so fast! Reading you praising this drama and LJS makes me want to watch it. 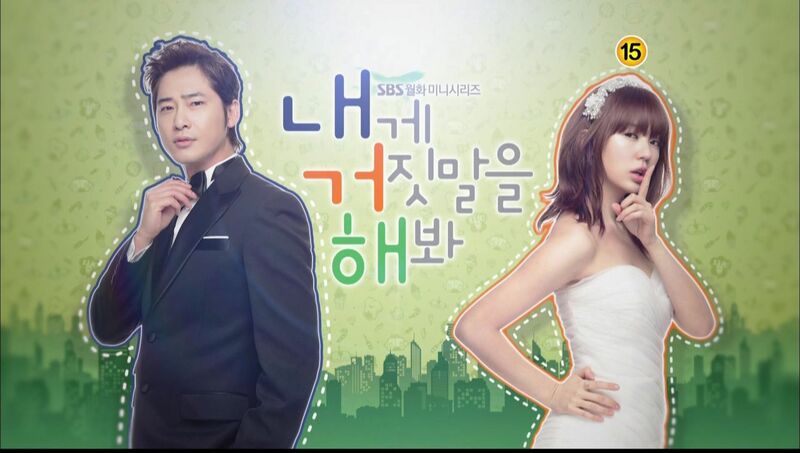 Actually I dislike Jin Se Yeon, but I love LJS, PHJ and Kang Sora, so I think I’ll check it out. OMG! the unbelievable happened!!! 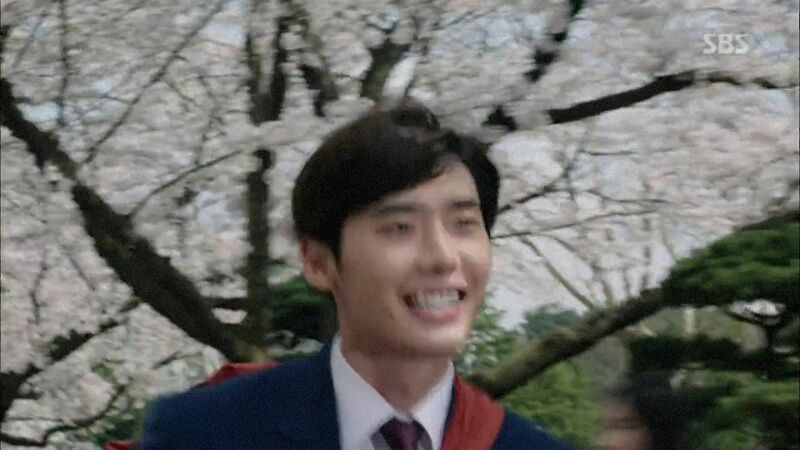 you are actually recapping a LJS drama… i am soooo happy to read your recap. i was watching last night but the buffering was really bad! thank you so much and i am off to read. So much went on this episode. Good start, but not sure how to it’s going to work out. It’s going to be messy anyway. At best I see them getting a happy end for a short period of time before she croaks from her old worn out heart. That is one scary first episode. I am out of here. Thank you for the recap. 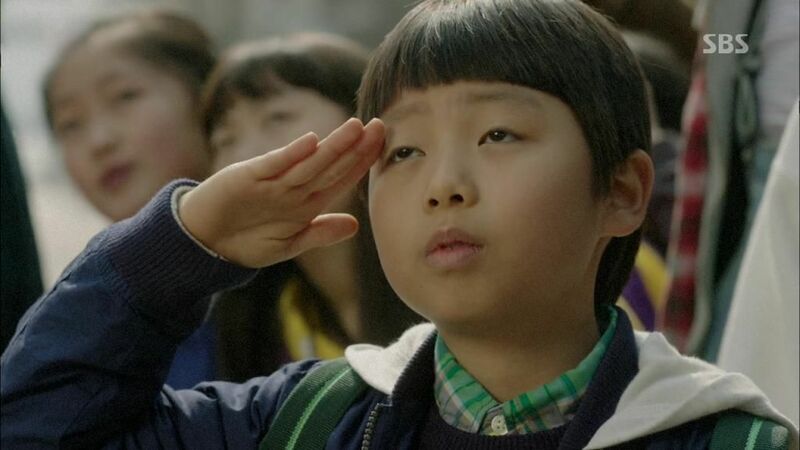 How cute is that Lee Jong Seok’s chidhood version is played by the same boy as in I Hear Your Voice. Fantastic episode 1, so refreshing. Looking forward to ep 2!! A great 1st episode. But I have a HUGE fear that this drama’s writing could devolve into a hot mess lightning fast. When Kdramas try to do too many things, and too complex plots, the only place to go is down. I hope this will prove me wrong, but I’m not holding my breath. Lee Jong Seok carries this because he’s such a fine young actor. 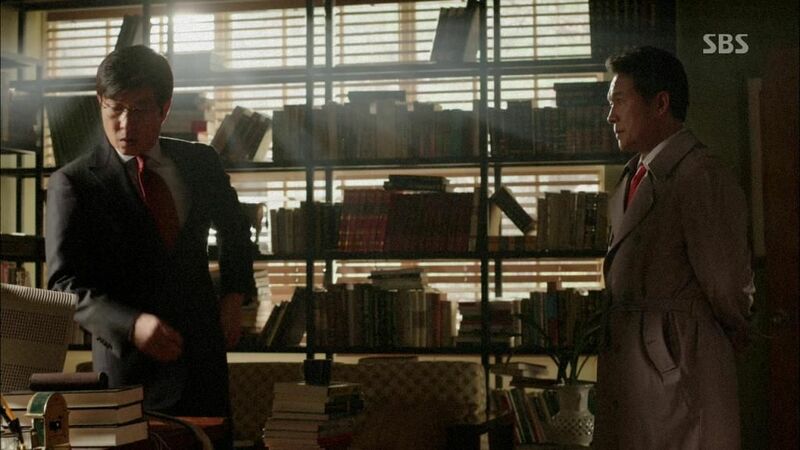 The chemistry between the leads frames the narrative with probably just too much going on. But you really buy into Hoon’s motivation because the 2 young actors just have such banging chemistry. see no chemistry between the two lead at all. JSY just look way too stiff for me. they should have give kang sora the lead. she might have better chemistry with LJS. Isn’t the kid is the same person who played the little Lee Jong Suk in drama I Hear Your Voice ?? 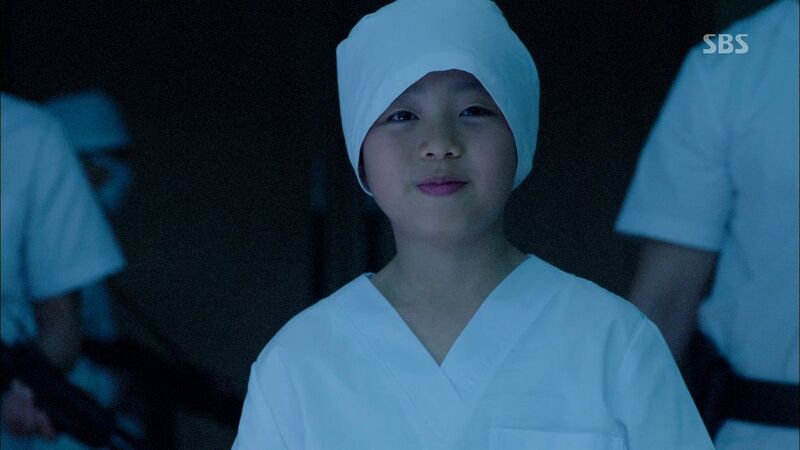 so now he also play the junior part of Lee Jong Suk in Dr Stranger as well .. I love your recaps. I’m watching this show and it’s really very good. I love the main couple. They have great chemistry together. That kiss in the rain was amazing and romantic. Both share a strong love story and tragic. I think it’s a recipe for pain but they are so good with your characters. I’m completely in love with them. 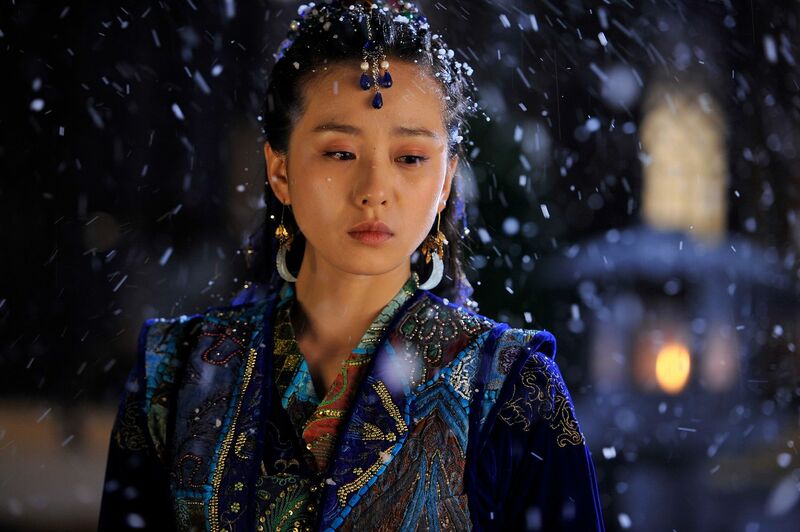 Sorry for the fans of Kang Sora but … Why she should be the protagonist? I read this in your reviews and I don’t understand. You really need be more realistic. You ask this only because the actress is her favorite and that’s not a reason valid. Please. More objectivity. I believe there is an error with the subtitles. This was a kidney transplant in fact and not of heart. Hi, good to know there’s a recap though I’m skipping it as I’ve watched both episodes hours after they were broadcast. Anyway, just to shout out that this is really a great drama. 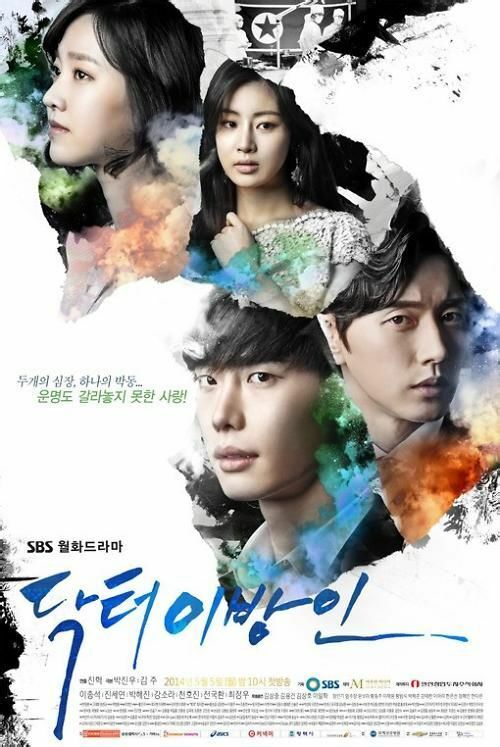 Directing was good, Lee Jong Suk’s acting is still one of the best for the below 30s. Just see the number of emotions he had to go through just for that half episode. Probably a little hard for the PDs to get another leading man to do that. Many kept stressing on his youthful looks but overlook the part that good acting is convincing acting. He was a boy for a moment and 15 minutes after he first appears in the show, he had to grow up and become a man. And boy did he show you just that. What is the name the North Korean supervisor? 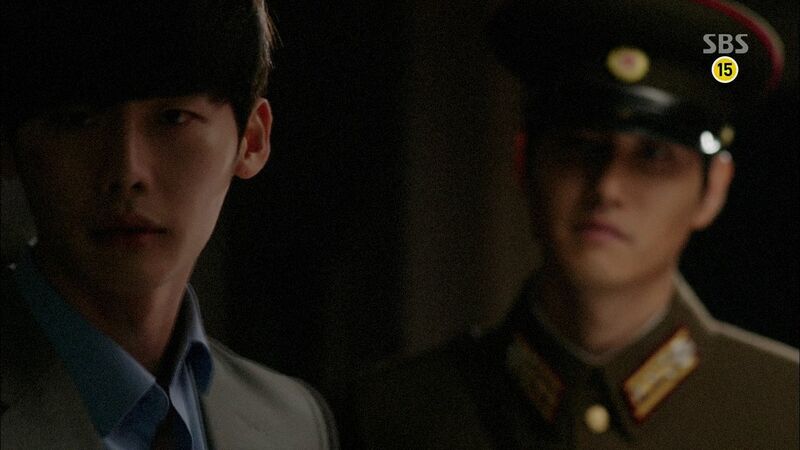 Also, I think Park Hoon is lured to North Korea, and his dad didn't take him. 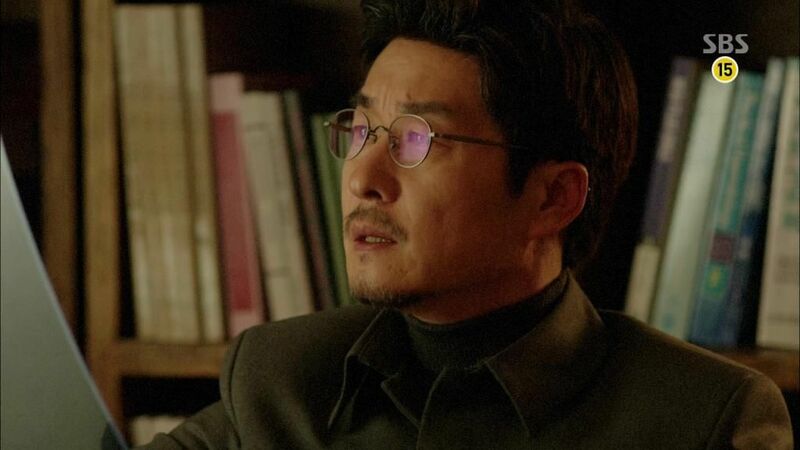 Later there's that flashback when Park Hoon is in the SKorea hospital and looking at plaques and he remembers this old dude with glasses asking him "do you want to go to your dad?" while offering his hand. But other than that, I LOVE THIS DRAMA SO MUCH AND YOUR RECAPS! Thanks for the recap. I just watched it and you cleared up some stuff. I agree with all that LJS looks so young, and the make-up folks giving him even more perfect skin and lips than needed doesn’t help. Favorite scene was him all tore up describing the medical horrors he took part in over the years. Wow. The framing was perfect and his conflict obvious. Nice job. I guess it works that he is deceptively “grown up” with that baby face saying otherwise.